What is the best accounting software for construction business? The best accounting software for the construction business is QuickBooks Enterprise, a complete financial and accounting application with all the essential features that you need to run your construction business at the optimum. It has a Job Costing Center to give you an overview of your most and least profitable jobs and industry-specific reporting tools, on top of the software’s core and non-core accounting features. Not all accounting software solutions are created equal when it comes to the construction industry. While your typical accounting software has all your accounts receivable, accounts payable, profits and loss, balance sheet—your assets, liabilities and equity—pretty much covered, your construction business could add hundreds of additional layers of processes that a standard accounting software has never even heard of. In this article, we will look at the features that make QuickBooks Enterprise the top choice of experts and users for their construction business. To give you more options, we will also dig deeper into other best accounting software applications—twenty of them in fact—that offer strong competition to QuickBooks. With that, you can run your checklist of features that you might have already prepared as you look for the solution that is just right for you. What are the 20 best accounting software for construction business? Construction accounting could involve strict legal requirements that, once you ignore, could cost your business dearly if not entirely. Risk and compliance are fundamental to the construction industry. If you are just starting to shop for an accounting software platform for your construction business, you have to understand that a standard accounting package should be the last of your options. What you want is a software package that is built specifically for your line of industry. There is another immediate reason you should look closely into whether your candidate accounting software could address the legal compliance capability of your business: currently, both the US and the UK are implementing massive changes in their taxation landscape. In the US, the IRS is putting into effect the Tax Cuts and Jobs Act (TCJLA). It will impact individuals, businesses, tax exempt and government entities. Directly affected will be the of Form 1040 the size of a postcard, limited itemized deductions and overhauled tax withholding for wages. As for the UK, Making Tax Digital (MTD) is bound to take effect in April 2019. MTD is enforced by the HMRC to adjust how filing tax returns are done currently, to move from once-a-year tax occurrences to quarterly digital VAT returns. Of the 20 best accounting software for construction business listed here, QuickBooks and Xero have already taken the initiative to meet this new way of doing taxes in both countries. Quickbooks Enterprise is the vendor’s desktop, on-premise implementation of its well-regarded accounting application. It is purposely designed to meet the needs of multiple industries, from employee payroll, complex inventory handling, vendor and purchasing management, customer relationship and sales, field service and location management, including work scheduling and billing with mobile payment capability. For the construction industry, accounting software QuickBooks Enterprise lets you handle any expanding number of customers, item lists and vendors, as the software is designed to address data size capacity for up to a million of list items. QuickBooks Enterprise empowers you to generate job cost estimates that are as accurate as you would want your clients calm and happy, leading to optimized revenues and profits. The power of QuickBooks Enterprise comes to the fore by allowing up to 30 collaborators to access and work on critical tasks at hand, ensuring client expectations and deadlines are met well on time. Crucial information is easily generated by the tool’s advanced reporting capabilities, which should let you identify essential areas in your projects that need attention. While QuickBooks Enterprise is extremely powerful, it does not require code wizardry to run or master it, with even the most difficult tasks easy to understand for the non-expert users. It’s a great value for your construction business all around, offering massive technical proficiency and ease of use as required by today’s businesses. Why use Quickbooks Enterprise for your construction business? Avail yourself of crucial job costing tools. Look into details of job cost, actual versus estimates, profitability of jobs, along with loss and profit by job. There’s also QBE’s Job Costing Center that lets you see all essential information pertaining to all jobs on a single dashboard. Easy access through customizable account charts. Immediately call upon information essential to your work in progress, materials, labor or shortages and overages. Total control over negative inventory quantities. QuickBooks Enterprise lets you on top of your average cost by effectively disallowing negative quantities in your inventory and preventing it from resetting in cases where you have actual inventory available. Advanced accounting tools. Gain more control over your books by such capabilities as writing off outstanding invoice as bad debt, quickly accessing previous account balances to find account discrepancies and more. Built-in scheduling function. Post deadlines, to-dos or any reminder using the built-in calendar. Powerful, versatile yet easy to use, FreshBooks is a leading finance and accounting software that has gained traction and application across multiple industries all over the world. For the construction industry, it provides a strong suite of core functionalities that include accounting, time tracking, invoicing and reporting. It provides a robust mobile implementation so you can communicate with clients even when you are up somewhere on current project sites. The time tracking and expense tracking tools, built-in among FreshBooks features, let you create accurate invoices, billing and collect payments via multiple channels conveniently. FreshBooks accounting and tax handling ensure compliance with state requirements. It automates many processes, including expense organization, time tracking and customer follow-up, so you will have more productive time on your hands. FreshBooks lets you create professional-looking estimates and invoices showcasing your brand. Collection and payment online through methods preferred by your clients eliminate the chance of you chasing that elusive check from your clients. You can easily sign up for a FreshBooks free trial here and get to know the features firsthand at no cost and without commitment. Why use FreshBooks for your construction business? Match expectations with accurate estimates. Minimize project proposal rejection with realistic estimates that easily resonate with the expectations of your customers, especially long-time clients. Stay on the same page with clients any time, anywhere. FreshBooks relies on its strong mobile implementation to give you confidence in communicating with your clients from just about anywhere you are at any moment. Collaborate with on-field teams, contractors, even clients. Never miss on costly details by sharing key information online and having all the people involved stay on the same page throughout the life of the projects. Never lose on any billable time. Every minute of work is precisely tracked and reflected on your records, so you won’t wonder where all those work hours by your personnel have gone. Receive timely payments. With FreshBooks multiple online payment options, you won’t have to worry again how your clients will be able to pay you. Sage 50cloud gives you Sage’s well-regarded accounting software coupled with features that are designed to match your specific industry, including construction. The accounting platform is one of the most robust in the market, with a well-established user base. It organizes your construction company’s financials with an advanced process to ensure accuracy, with provision for tax fulfillment compliant with legal requirements. Our Sage 50cloud review indicates a well-designed application for your construction organization that will handle your inventory management so you don’t get a surprise while commissioning contracts that require a complex number of construction materials, for instance, from cabinets to boards. Payroll management gives you tax forms, direct deposit and other employee services right inside the application. There’s also a tool to let you manage your projects proactively, with comprehensive reporting tools and mobile implementation so you can meet client demands from just anywhere you happen to be. The vendor has an appealing free trial where you can tinker with the features at no cost. You can sign up for the Sage 50cloud free trial here. Why choose Sage 50cloud for your construction business? Advanced business intelligence. Sage 50cloud give you more than 140 types of reports to see the health of your construction business from any perspective that matters to your revenue objectives. Tailor-made for the construction industry. Where you are coming from is how Sage 50cloud starts, with features that matter to your line of industry. Peace of mind accounting. Sage 50cloud is fully compliant with best practices in the industry, so you wouldn’t have to worry about authorities suddenly knocking on your doors. Manage inventory efficiently. Sage 50cloud manages your inventory proactively so you don’t run the risk of deadline bottlenecks and angry clients. Robust security. Security can be extended for up to 40 users with administrative rights extended to the cloud. Cloud-based NetSuite ERP leverages a full suite of comprehensive business capabilities including advanced accounting processes and tax management, billing and invoicing management, fixed asset and payment management for your construction organization. NetSuite ERP lets you handle multiple construction projects at once with clear estimates and accurate billing, dispensing of cumbersome timesheets to manage time tracking for any number of employees on the field. Backed by impeccable accounting system with tax compliance features, the application also helps you meet licensing requirements, permissions and passes needed for construction projects. Other NetSuite ERP benefits include providing the processes and tools for site inspections, lessening internal paperwork and letting you move your construction projects forward. You can use all the features for free for a period of time to see if the software matches your needs. Simply sign up for a NetSuite ERP free demo here. Why choose NetSuite ERP for your construction business? All the systems you need for your construction business and more. Aside from accounting, timesheet management, invoicing, billing and payments, NetSuite throws in CRM capabilities and other financial tools to ensure the success of your construction and property rental projects. Fully scalable to your changing needs. NetSuite ERP is easily able to add new functionality to meet your construction needs. This ensures nothing is left to chance when meeting and managing new opportunities with the new processes they involve. Eliminate delay, minimize costs. Nothing hurts a contractor more than delays in deadline delivery. Fundamental features that address key resources management will let you realize concrete savings both in the short and long term. Gain key insight into profitability. With improved processes, you get access to quality data to help you evaluate the performance of key variables in your construction business. Increased efficiency, less complexity. Innovations in workflow design mean reduced complexity in running your construction operations, resulting in more substantial revenues. Zoho Invoice bundles together project estimating, billing and invoicing tools to streamline and speed up your ongoing construction contracts. The estimating tool allows you to quickly generate accurate estimates for fast-tracked approval. You may include essential details including key terms and conditions along with details for subcontractors. The invoices that are fully customizable to include your own brand let you submit project expenses and costs to clients easily. Most likely you are going to engage in bidding wars for construction projects and here the Zoho Invoice pricing tool gives you a distinct advantage over your competitions by allowing you to present pricing carefully customized according to your materials. The application gives you the option to request advance payments for pre-construction procurement costs. You may ask that a certain percentage be paid ahead through retainer invoices, making payment collection headaches a thing of the past. If you want to investigate the features closely you can easily do so when you sign up for a Zoho Invoice free trial here. Why choose Zoho Invoice for your business? Time tracking accuracy. Gain the trust of clients with precision time tracking that bills clients only for real hours worked, verifiable to the minute detail. Speak your client’s language. No matter the location of your project, Zoho Invoice provides invoices matching native currencies and languages, a convenient feature if you are used to operating anywhere in the world. Never lose on expenses again. By allowing you to easily capture and upload expenses to the application, you ensure you get paid for each expense you accumulate for the lifetime of your project. Timely payment reminders. Take advantage of automated payment notifications, to ensure you never lose sleep on late payments and worse, non-payments for an extended period of time. Advanced payment security. Offer clients a way to settle payments online with enterprise-grade security that they can trust. With invoicing capabilities at the core, Online Invoices offers a wide range of business capabilities including taxes and finance management, multiple payment methods, tracking and reports, time tracking and reports, deposit payments, inventory management and control, along with expenses and income tracking. It also manages suppliers and your purchase orders. For the construction industry, it provides construction quote template, contractor invoice template, along with a powerful online invoice generator. The cloud service is fully accessible with any modern mobile devices, ensuring that you maintain a crucial connection with your clients at any given time, anywhere. With secure admin privileges, you may designate multi-user access to previously screened staff so they can log in and create their own invoices, upload their respective timesheets along with any expenses. The whole system is built to empower even the casual users to operate their tasks or businesses competitively. An appealing test drive of all Online Invoices features is available to you when you sign up for an Online Invoices free trial here. Why choose Online Invoices for your construction business? Use only the features that you need. You can turn on or off any of the application’s modules as you see fit, including the online accounting and CRM, inventory management tool or the sales and invoice controller, so you can focus only on the feature that you need. Submit templates with your brand. You can place your own logo, name and other brand elements to quote and invoice templates, ensuring a professional look to your submitted forms. Optimal communication. Online Invoices incorporated an extensive set of follow-up procedures to ensure you and your clients are on the same page about payment schedules. Automated billing. Simply key in any timesheet, set the program to track time worked by staff per project, log the activity and your invoices are ready for submission to clients. Free version is available. The price of admission to Online Invoices could be as straightforward as totally free, with options to work your plan up as soon as your cash flow is able to justify it. QuickBooks Online offers its full suite of accounting modules coupled with a comprehensive set of construction industry-specific tools that should cover all the essential processes of your organization, from the basic to the most advanced functionalities.  Not only that, the vendor offers a rich source of information and help on its website to guarantee that you make the most of this versatile application. From the outset, you get the option to choose either the stand-alone QuickBooks Online or the version with built-in construction software. The stand-alone flavor covers basic job costing with real-time tracking for expenses and income. On the other hand, the QuickBooks Online construction features help you to manage all the financials of your projects. Both commercial and residential construction projects are covered, whether for general contractors, subcontractors or remodelers and other home building categories. Why choose QuickBooks Online for your construction business? It’s purposely built for your construction business. QuickBooks spared no effort to design a software that covers all your key accounting and financial requirements while ensuring to cover all other aspects of your construction concern. Estimating made easy. You can now do complex or straightforward estimates without the expertise required of the process. Job costing for contractors. Contractors have a choice to use job costing of bills, expenses by job, class and location, streamlining the process for maximum efficiency to their operations. Construction-specific invoicing. Choose from Draw Request, Standard, or AIA forms if you are a commercial contractor. Control everything from a single dashboard. Manage every piece of your construction project from job scheduling, invoicing to billing and payments from a simple unified screen. Infor ERP Distribution is a virtual collection of powerhouse solutions meant to drive you on top of the digital age competition. The solutions range from the Cloud Suite Financials with its revolutionary implementation of general ledger, to CRM, Human Capital Management, Asset Management, Business Intelligence and Analytics, to the industry-specific M3 platform that has seen industries from fashion, manufacturing and construction companies record explosive, verifiable growth. Of particular interest to your construction business, the M3 module showcases the application’s capability to handle just about any construction work category, from residential to industrial, utilities like water distribution systems, roads or bridges, to heavy machinery equipment and specialty construction. What’s more, you can opt to deploy the application on your premises, via the cloud, or a hybrid of the two. With the comprehensive Infor ERP Distribution features, you get a platform with extensive global footprint and professionals who are eager to see you to your success. Why choose Infor ERP Distribution for your construction business? Everything you need in one house. With hundreds of applications and thousands of integrations and features, the platform virtually guarantees that you will have a solution for every need right now or any time ahead. Keep your deadlines, on the budget. Attend to your ongoing projects confident of working along defined budgets and the work humming along to its set deadline. General ledger redefined. Infor ERP Distribution’s general ledger is designed as a central warehouse that stores both non-financial and financial data, as well as an analytics engine for a complete financial management system. Intuitive. While the application offers extensive features, it has been meticulously designed for easy, quick adoption by even non-experts in your construction business. Backed by solid support. Expect nothing less than the extraordinary from a company that has been in the industry for a long time, with operations worldwide. 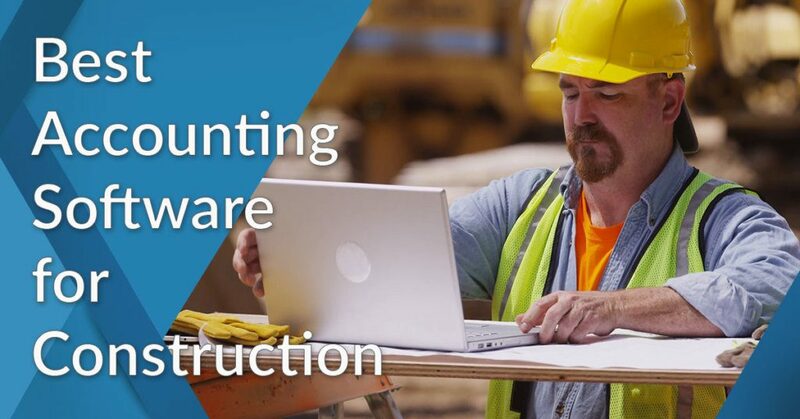 Accounting software Xero ensures sound financial footing of your construction business with invoicing tools to help you collect payments faster, cash flow management modules to evaluate the health of your projects and ensure excessive expenses do not overrun them, and extensive, seamless integration with construction-specific applications for a complete setup to run your operations. The integration engine carefully looks for and eliminates double entries. Major construction applications are covered, from WorkflowMax, ServiceM8 to simPro. Xero enables strong collaboration with a central repository for all your business documents, built with security and ease of access in mind. The mobile version of the application lets you manage the financials of your business while on remote locations, so you stay on the same page with your client at any moment. Why choose Xero for your construction business? Easy to set up. Xero does not require rocket science to configure and run, having been designed with simplicity and clean interface for even the non-experts to be quickly comfortable with. Hassle-free financials. Even when you integrate Xero with a third-party construction application, it has a self-check process to ensure no double entries are found in its database. Check the health of your business, quickly. The simple but powerful dashboard lets you see every detail that matters to your construction business, from cash flows to collection statuses. Stay on top of your inventory. Xero monitors the stock levels of key materials for your construction business, so you don’t have to face unnecessary downtimes and seething clients. Keep tabs on expenses. Capture any expense as they come with receipts to facilitate easy billing and collection. Syspro ERP covers all your accounting and financial processes and works with you to automate your entire construction business processes into one integral, smoothly functioning whole. It will help you make sense of your business by just one look and identify those areas that you can improve. Apart from accounting/financial tools and general ledger, Syspro ERP is well equipped to provide its expertise via robust inventory management, distribution management, electronic payments, fraud detection, supply chain planning, work order management, invoice processing, auditing and automated billing using multiple currencies. You may opt for a Syspro ERP cloud solution or an on-premise setup. To ensure that you get the most of this expansive solution, you may avail yourself of the vendor’s professional services for learning about the software and having it successfully implemented throughout your organization. While that is an option, the software itself is designed to be user-friendly, with features and operations made intuitive enough for non-experts to comprehend and operate. Why choose Syspro ERP for your construction business? Tailored to any industry. Whether you are coming from the manufacturing or construction industry, Syspro ERP is well optimized to ensure all your core business processes are tightly integrated to make a cohesive, powerful, automated system. Role-centric. The application identifies key roles and designs automation processes matching those roles. Solution for any business size. Syspro ERP works with your budget to ensure you meet your business objectives and grow along with a partner every step of the way. Scalable, adaptable. Select only the essential features and be on your way. Incorporate additional features, scale down later on for more flexibility. Advanced automation technology. Syspro ERP counts on bots to eliminate redundant processes and push personnel where they could be truly productive. Odoo ERP provides a comprehensive set of business tools from basic to advanced so you don’t have to look elsewhere for another one. To help achieve this end, Odoo ERP was released through open source channels. The result is a flexible, straightforward software that incorporates more than 10,000 applications natively, making it unnecessary to go through complex procedures to configure the integration. The approach means you can proceed to automate any process within your organization without worrying about any feature that you could be missing later on. Among Odoo ERP benefits, it offers native scalability, with modules you can think under the sun just waiting for you to harness: from accounting and other financials, CRM, POS if you are in ecommerce, inventory and MRP for a host of industries including construction, help desk, project management, purchasing, sales and marketing, invoicing and payment. For your construction business, Odoo offers a strong value proposition that is difficult to find elsewhere. Why choose Odoo ERP for your construction business? Complete sans the need for integration. Eliminate the need to plan and provision for integration when you can have any module you want built right in the application. Multiple construction modules. Choose from procurement, stock management, construction calculator, site management, architect-specific features among others. Match to your workflow. Configure task, time-tracking and timesheets to fit in with the way your operations handle them. It even allows you to forecast productivity based on the data in the records. Easy invoicing. Build smart, professional-looking invoices while taking control of recurring billings. Track payments so they arrive in a timely manner. Advanced inventory. Take advantage of drop-shipping, cross-docking and multiple warehouses to better control your stock inventory. Oracle ERP offers a comprehensive suite of modern business solutions to ensure businesses operate at optimal levels and on track with their revenue targets. The solutions encompass accounting and financials, inventory and supply chain management, project planning and execution, procurement management, product lifecycle, compliance and governance as well as risk management. A globally recognized brand for many years now, the Oracle ERP construction tools help you navigate through the typical jumble of data, budgets, schedules, workflows, supplies and contractors. It tightly manages your cost and delivery schedule, simplifying the complex processes with a unifying goal. The approach is guided by principal tenets to ensure success, including Cost and Contract Management, Schedule Management, Financial Management, Lean Construction and Reporting and Analytics. Why choose Oracle ERP Cloud for your construction business? Oracle brand. Oracle as a brand carries a weight that is fully backed by years of proven track record in diverse industries virtually all over the world. The construction industry is no exception, with its Primavera execution getting the nod of many engineering and construction businesses everywhere. Strong financial fundamentals. As the core of businesses not just construction, sound financial and accounting ensure you would hardly get caught wrong-footed at any stage of your construction operations. Powerful procurement tool. Oracle ERP Cloud helps you minimize costs by presenting the best suppliers, administering best practice and controlling risk. Align financials with project details. Establish transparency based on budget and the items that comprise costs, from talent levels, task schedules and tracking. Single dashboard visibility enables you to quickly gain insight on key metrics about your business. Exceptional security. Monitor activities within your ERP implementation and prevent inappropriate transactions. Establish risk-aware culture by promoting accountability, transparency among others. Available either as an on-premise installation or cloud solution, Microsoft Dynamics GP looks after your construction company’s financials and inventory to maintain smooth operations. It provides human resources and payroll functions, project management, sales and service with business intelligence tools to inform your business decisions. For a brief Microsoft Dynamics GP overview, the solution sets your construction business on the fast track by getting you on the good side of your clients with consistent timely deliveries that do not shoot over your estimates and contracts. Its job costing tools lend accuracy to crucial performance indicators, which should make it easy to sort out and manage risk. Its workflow system enables you to collaborate with customers and suppliers through a unified project, service management and materials tools. Why choose Microsoft Dynamics GP for your construction business? Single source of truth. Microsoft Dynamics GP serves as the source of key information which allows estimating teams to present accurate data and strengthen their cause to win contracts. Establish a proactive business strategy. Sales teams starting from market conditions coupled with KPIs should allow them to properly adjust initiatives. The approach means no unmet client expectations and happy customers throughout. Build trust with clients. Informed customers make for happy clients. Key to this is transparency that extends trust. Granting clients access to data they need to know lessens the pain of interaction, even save you from possible liability. Inform your business with forecasts. Microsoft Dynamics GP is equipped with the tools to run project models replete with other key factors to help you determine trends and be ready for them. Increase efficiency and productivity. Automating recurrent processes should spare you from hiring more staff while ensuring those you keep are keeping only to tasks that truly matter to your business. FinancialForce ERP by Salesforce gives your construction business a cloud-hosted suite of solutions built around superb financials and accounting systems, along with inventory management, CRM tool, HCM, Professional Services Automation (PSA), billing, business analytics all accessible, too, via mobile devices. Since its based on the Salesforce platform, you get the reliability and unparalleled customer support that the vendor is famous for. With sales informed of key business metrics, they can limit bids to those that can be realistically met and on the deadline. This eliminates grumpy clients who could read dishonesty in your dealings, which could easily hurt your business. Sound, transparent financials enable you to generate accurate cost estimates and realistic schedules to make sure set deadlines are met. Powerful FinancialForce ERP data analytics gives you deep insight to start corrective processes to adjust projects that are not meeting expectations, either by you or your clients. Why choose FinancialForce ERP for your construction projects? Promote efficiency with Professional Services Automation. PSA cultivates meaningful collaboration, transparency and predictability, with each team member starting from a common perspective and understanding of projects. Encourage proactive, agile teams. Fast, accurate communication coupled with clarity of ongoing projects prompts teams to be agile and mobile to help their colleagues across the globe. Work, schedule, distribute from a single location. Manage time-consuming processes and transactions from the famous Salesforce platform. The benefit of minimal errors should easily reflect on project efficiency. Make the most of skills and talent. Leverage the HCM tool to manage employees with full payroll support, HR management and benefits control. Solid support. FinancialForce ERP is backed by Salesforce’s leading customer support, ensuring your projects are not delayed by unnecessary downtimes at critical periods of your construction projects. Available as an on-premise installation or as a cloud-hosted platform, SAP Business One helps businesses automate and integrate their processes with financial and accounting tools at its core. Other functionalities could be added later on based on your needs. Aside from accounting, other essential SAP Business One features include business intelligence, purchase and inventory control. For your construction business, the application provides regulatory compliance to go with accurate scheduling and budget costing. It allows for efficient resource allocation to support your projects from planning, purchasing to bidding, sales and contract works. It lets you control documents and compare contracts, project details and permits to ensure nothing is amiss going forward with your construction projects. Why choose SAP Business One for your construction projects? Gain better visibility. Leverage project scheduling, budget numbers with regulatory information to gain a complete picture of the project. Never run out of stock again. Prevent stock shortages by ensuring planning, purchasing and sales teams collaborate closely with one another. Fully mobile. Access relevant information and share with key stakeholders from anywhere using modern mobile devices. Business modeling. Use key metrics to assess how projects will play out in the future with ongoing market trends and your own resources. Leverage deep data analytics. Inform decisions with timely reports using dashboards that are elegantly simple and intuitive to use. Kronos ERP leverages its years of accumulated human capital management insight to inform businesses including those in the construction industry of best practices to minimize fraud and prevent costly legal cases. It’s a fail-safe approach in today’s business world where multiple territories have their own set of regulations and you are most likely walking on thin sheets of ice if you are not properly advised or informed of such labor issues. An important Kronos ERP feature is how it’s built on solid financial and accounting fundamentals, which makes it easy to dispense of payroll processes, compensation and other benefits management, tax filing and other government-required processes. It ensures your productivity is never demolished in one instant of neglect over key regulations that you could be ignoring. Kronos delivers its solutions via powerful automation, which includes monitoring and facilitating the creation and administration of government-imposed benefits. Why choose Kronos ERP for your construction business? Eliminate costly compliance risks. The construction industry is unique for multiple compliance requirements and your business could easily hurt or be quickly sidelined for one misstep that proves too costly to handle. Precision attendance terminals. Keep attendance record errors at a minimum with employee access to key information on scheduled hours and time-off balances. Fewer entry errors mean reduced payroll costs. Enforce compliance, reduce risk. Establish tracking compliance on union rules, FLSA and ACA and make sure to enforce them. Cultivate employee engagement. Transparent rules and well-enforced guidelines inspire employees to be more productive, engaged and aligned with company objectives. Compliant tax processing and filing. Tax penalties could easily cost your construction business. Kronos ERP ensures you don’t lose sleep over those costly compliance mistakes. Deltek Vision is a leading ERP platform founded on project lifecycle fundamentals including accounting and finances, business development, resource planning, performance management and information management among others. Comprehensive automation and integration of processes are handled, from creation and submission of bids, contract provision, to closing out of projects. It helps you gain more clients and deliver projects on time and always within budget. Among the key Deltek Vision benefits are: it provides you with robust compliance governance, and it helps you hire and retain the best talent and provides a good picture of your business performance against costs and budgets. For your construction business, it offers a powerful information management tool to handle the daily load of massive information accumulating from support documents, compliance papers, building designs and construction details and lengthy email exchanges. Why choose Deltek Vision for your construction business? Purposely created for projects. Deltek Vision is a project ERP through and through, keeping a keen focus on every relevant stage of the project lifecycle, from beginning to end. Leverage information management. The massive amount of data and communication threads in the construction industry deserves a dedicated information management tool and Deltek has seen to address it. Eliminate information silos and team disconnect. Enforce information sharing to allow seamless communication and comprehensive collaboration. Efficient documentation system. Volumes of documents need a powerful application for fast storage and retrieval. Deltek delivers the solution easily. Turn massive data into crucial insight. Arm your next decisions and actions with insights from trends and patterns gathered from all the data lying in your central storage. AssetWorks is an application that manages all business assets including facilities, fleet and fuel materials and surpluses. It provides field service solutions, property risk management as well as comprehensive inventory management. The construction-specific AssetWorks module lets you handle the complexities of budgeting, contract transactions indicating workflows, drawings, communications and RFIs connected to the project. Managing projects is viewed from the owner’s perspective, which means strong financial control and accountability. There’s also the matter of meeting all regulatory compliance and minimal risk. The program tracks sustainability targets with the long view of bringing down cost and optimizing efficiency. Why choose AssetWorks for your construction projects? Software that leverages leading technologies. AssetWorks are always on the watch out for the latest technologies that could improve your operations and performance with a view to keep or increase your competitiveness. Application that focuses on the unique needs of your industry. From market trends, innovative processes and compliance practices to risk control, AssetWorks looks at the big picture of your projects as a prime asset component. Active communities and educational opportunities. Make the most of your software investment with webinars, conferences and other events designed to increase your technical and practical proficiency with the application. Works with you on relevant product updates. AssetWorks does not assume to know what works best for you; it starts on your feedback to initiate upgrades or new product development direction. Excellent customer support. Robust email, phone and customer care portal stand ready to help you with any problem or provide a brief instruction on a certain operation, or address any request. Extensive documentation and knowledge base articles ensure you will get what you need to run your software as it should. The only fully open source platform in our list of the 20 best accounting software for construction business, ERPNext offers a comprehensive list of capabilities you would expect from a dedicated and expensive ERP program, including core accounting, payroll and employee leave management, operations management, inventory and purchase management, ecommerce, selling and billing, to-do lists, with its own built-in CRM capability. The construction module offers billing, project estimating and costing, purchasing and payments. The Frappe Framework under the ERPNext Foundation facilitates the platform from which to customize and add functionalities as you see fit for your needs. The presence of active developer community makes it easy to find help generating your own modules concerning the unique needs of your projects. The readily available modules, however, are already robust and should require minimal customization. Why choose ERPNext for your construction business? Professional support. ERPNext is backed by expert professionals on the Frappe Cloud, while local installations also get the assistance they need every step of the way. Helpful community. Aside from in-house experts, a friendly community of users and developers has your back, making the open source platform successfully work for you. Open Source. If you have an affinity for open source and actively support its wider community activities, then ERPNext is just built for you. It’s not free, but you probably know ERPNext pricing is the next best thing to being free. Intuitive, easy to use. The application adopts a modern approach to software interface design, with simplicity determining the look and feel of dashboards and user screens. Pick and match. There is hardly any need for third-party application integration, with everything included right out of the box and all you have to do is pick and match the features you actually need. WorkWise ERP combines a wide array of capabilities spanning accounting and finance, payroll and HR, plant production management, planning and engineering, materials and document control, sales, marketing and help desk systems, along with deep analytics to measure performance. All these tools work to simplify any business operations, each one contributing to healthy investment returns. For your construction business, the strong suite of WorkWise ERP features empowers your bidding system with key access to relevant customer data including history and financial records, which is achieved through the application’s CRM module. Financial processes work in tandem with payroll tools to remove inefficiencies while automating many compliance measures and minimizing risk. Your construction business gets its hands on lead management provided by the CRM tool, which should gain more prospects for you for project bidding. Why choose WorkWise ERP for your construction business? Track margins and profits. The application’s asset management makes it easy to determine the health of your projects especially with respect to construction equipment and resources. Integrate and automate. Multiple functionalities allow you to streamline your construction business operations, minimizing costs and increasing revenues. Ensure on-time delivery. Active tracking of ongoing projects lets you gain a clear perspective of how you are meeting deadlines. It encourages accountability and strong governance. Gain more clients. The CRM module gives you access to key prospect information that will help your sales present more convincing bids and accurate estimates. Promote transparency. WorkWise ERP makes it easy to cultivate a culture of transparency and visibility, which should make your life easier when it comes to dealing with regulatory organizations. Our review of the best 20 accounting software for construction business clearly reveals a distinct pattern: ERP platforms offer the most complete bundle of features that will help your construction move forward easily. QuickBooks Enterprise makes a strong exemption and, in fact, you can sign up for a QuickBooks Enterprise free trial to check the features for yourself. In the end, nothing beats a good test run. Meanwhile, you might want to check out other accounting software for other industries. If you’re also into manufacturing or wholesale business, our house experts have prepared this list of leading accounting solutions for manufacturing or wholesale business. If small business is more what you have, then we have that covered with our review of the best accounting applications for small business.